A long waited custom ROM is finally out for Lenovo P1m users, CyanogenMod 12.1 custom ROM is now available for Lenovo Vibe P1m smartphone users with most of the major features working and giving a very wonderful performance. As we know CyanogenMod custom ROM is famous for its fast performance and stability with a good battery backup. The following CM 12.1 for Lenovo P1m can be installed using TWRP recovery followed by GApps and Supersu for root privileges. If this is your first time then you must follow the steps for flashing the custom ROM. There is an updated version of this ROM which has been renamed to Lineage OS based on Android Nougat 7.1.2. You may also like installing MIUI 9 custom ROM based on Android Lollipop which has a very good battery life. DISCLAIMER: Rooting or flashing custom ROMs breaks the warranty. You are responsible for any loss. ANYONE FACING BATTERY DRAINAGE ISSUE……?????? google play service always crash.. help! how to fix camera can’t connect ? my mtk 6580 is not connect to droid tools.but why ? Thanks for the rom! Everything works fine! JIO is working(had to set up APN first) on my second sim slot(check on both slots). But when i try to change band using MTK engineering tool it gives “com.android.phone error”. Maybe the “phone.apk” is corrupt! can i flash it through sp tool?? I am using cm 12.1 but Notification light is not working . any fix? Motorola e3 power has the same specs as Lenovo vibe p1m ,, and moto e3 power has android 6.0 ,, can u port tat stock rom to p1m ?? apps to sd, led, and hotspot fixed? My imei number is no longer numerical, it’s alphabetic . I tried the mtk Engineermode. But its not working. I tried to use the SN Write tool(pc). But I really don’t know how to use it. Does anyone have solution. In Stock ROM you can choose SD card as default write, but in this ROM Internal is only Write option, so it takes that much space (from your apps and media files). 4G working only on SIM2 , if you want it for sim 1 flash nvram file they provided in the source of 4pda. (do it on your own risk). I installed this ROM. Working quite fine. But it takes almost 10 GB out of 16 GB of my internal storage. What did i miss. Please guide. Does it contain Arabic language ?? I do not face any problems with GPS over here…..
3g and 4g are not working on both sims. Any fix? Mine 2nd slot shows 3g for sometime and then reverts back to 2g. Do both the sims work fine with this ROM? Yes hotspot is working perfectly fine, you can use shareit and other file transfers programs normally. Bluetooth is also working. When your device boot for first time with this os you will get option to change to English in one of the configuration steps. Installed CM12: Awesome. Hotspot working. LED Not working….One more bug, In Phone info (after dialing ##4636##), Network mode is set to GSM Only (and the option to change is greyed out). Workaround is to put your SIM in the SIM2 slot….You’ll get 3G for 5-10 mins (slow speed), then will go back to 2G…. CANT INSTALL GAPPS…….BIG BUG…..FIX THIS!!!!! Bro, are you sure? Hotspot not working was the only thing preventing me……Can we create hotspot from Xender/ShareIt for file transfers? How did you change to English from Russian language? Battery backup?…what is the full time on battery and what is the screen on time? Hotspot is fixed but Led lights are still not working for me. is there going to be a cm13 for this phone? Do I need to install gapps too? 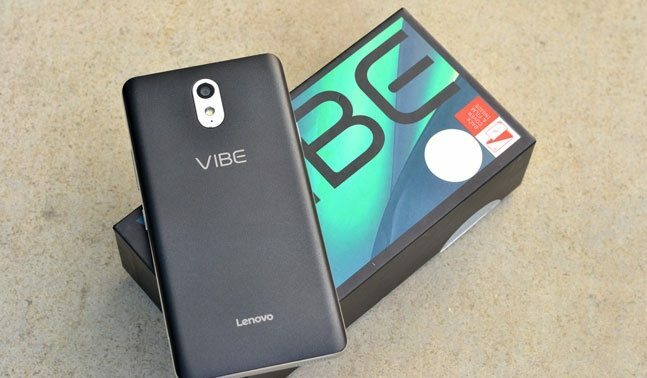 Is source code for CM ROM for lenovo vibe p1m available? Can somebody please provide links to it? I have a bug about sd card. When I want to move my apps to sd card there is “Couldn’t move app. Not enough storage space” I have 32gb. Help please! Is there any git for kernel, device, vendor packages for vibe p1m so that we can contribute in fix bugs and recompile to achieve a much more stable version. I couldn’t find leds settings in that rom – CM12.1. Maybe i’ll try AICP. is it stable? After unplug does it sleep or it hangs? I’ve flashed it, it’s a good rom, no bugs, BUT after a while my phone stops going to deep sleep when the screen is off…. same problem like with the stock rom, i’ve tried many things without results.. Anyone a solution? Same here, good rom, but battery life is worse than stock. Phone sleeps after reboot for 2-3 hours and then it stops. 1. WiFi is always on. Even when I choose never to keep it on during sleep. Even when I turn off the WiFi it actually doesn’t turn off. On the BetterBatteryStats it shows it always on and keeping phone awake. I had to disable “Scanning always available” to turn it off. 2. “leds wakelock” i don’t know what this is and I haven’t found how to stop it. I guess it is something for led notifications, but no settings for something like this. If anyone knows how to solve those please help. I’ve got a solution for the “leds.wakelock” ! You should turn off the notification led totally, somewhere in the settings you can find it i think (on AICP rom there is a setting) After that, the phone sleeps properly, but when charging it’s always awake i don’t know how to fix that. Currently i’ve got the AICP rom, its basically the same as the CM rom, and it has got a working hotspot, but the battery life is awful to… Moreover when charging, the phone is always awake. This phone is useless with this awake problems..
Is the hotspot working(unlike the bug in the first build) ? And also can we change from Russian? Please do verify that….I am pretty eager to test this build on my phone….Hotspot is really needed for me, for content sharing apps like Xender and ShareIt….Its a really important feature for me , that’s why I am asking..
Is that same for mtk6735?? Bugless any rom are fine..
hey can anybody port rom from coolpad note 3 lite to lenovo vibe p1m ?. You want Cool UI ? I tried to flash the zip for the hotspot feature but i still dont have the hotspot option on the lenovo p1m . can you guide me if you were successful ? Hi, i can’t download form could.mail.ru, we can upload from google driver?? try to fix fm radio plz..
guyz dwld this zip file n flash ur bug will be fixed :) njoy!!!!! hi.. has anyone tried to install the Xposed framework on this custom ROM ? id successful can i have the links and procedure for the same ? i had tried it on the stock ROM but was not getting installed. Using pdanet+ we can turn hotspot on/off but if we turn on the hotspot it showing the name but not connecting to any device..this one is the major bug other than that I LOVE THE ROM..
Is there no option to create an hotspot? Dear , I flashed this ROM but there is no WifiHotspot or USB Tethering option in it. And I feel laggy in using , so I disabled all animation and such things so it becomes more quick. Some sites says Marshmallow is out for P1m but the links on that site were not working. Do u ‘ve any idea about that. have you any idea if there will be periodic updates for the same ? or one needs to flash the rom with a stable build later on when the updates are ready ? does not have the schedule power on off feature. when battery saver mode is toggled , the data dose not start automatically , have to reboot the phone. other than that i like the rom better than the stock rom………..i hope this unofficial mod rom will get periodic updates. THANKS , WAS WAITING FOR THE SAME…WILL THERE BE ANY UPDATE TO MARSHMALLOW FOR THIS ROM ? Yes there is a hope that it will get a marshmallow based custom rom. Not stable. It is still unofficial.